We feel that the responsibility of good Citizenship extends beyond the individual. For corporate customers looking to enact programs promoting wellness and eco-conscious, we make sure to help by tailoring folding bikes and bicycle programs designed just for you. If you want to communicate a joyful, healthy, environmentally conscious lifestyle -- say it with a bike. 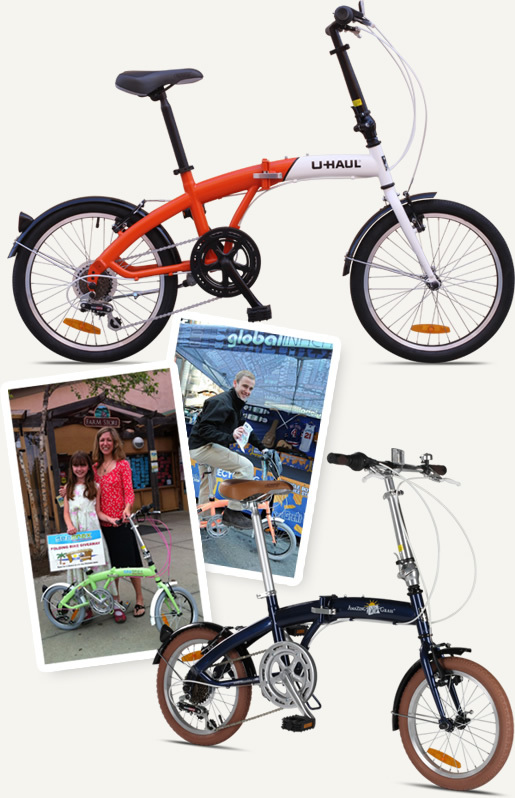 Companies use our folding bikes in an astounding variety of creative ways to promote their company or message. 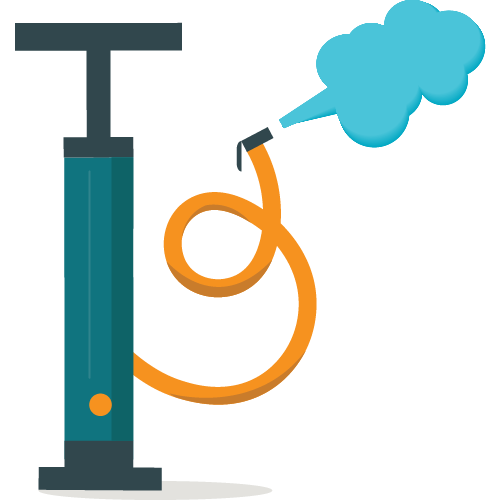 Some of the customers we've worked with include Coca-Cola, Honest Tea, Google, AOL, U-Haul, Nature’s Path, AvMed, United Healthcare, Kaiser Permanente, Royal Caribbean International the MTA of New York, among many others. 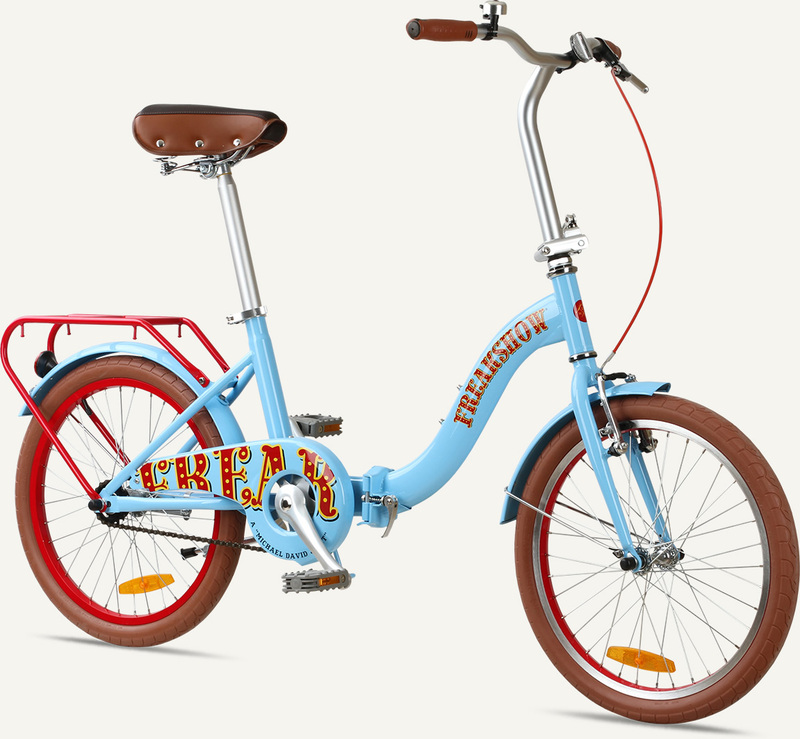 We can design a program that is coordinated with your goals and culture, even developing a unique bicycle or bicycle accessories branded for your company. We also offer short-run, in-house, custom decaling for your corporate branding and promotional programs. We'll work with you to translate your design concept into a rolling reality. While many commuters live too far from their place of work to rely solely on a bicycle for a daily commute, using a Citizen folding bike as part of the routine is convenient, economical and healthy. Folding bikes can be taken on subways and commuter rail lines at any time of day. At work, they can fit under a desk or in a corner, out of sight. Commuters who prefer or need to drive part of the way can park a few miles from work or public transit, and ride the rest of the way – getting exercise and eliminating the hassles and costs of traffic and parking. 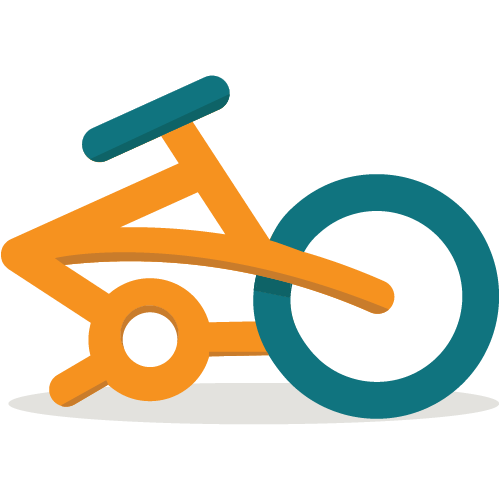 We will work with your company to tailor a program that offers folding bikes and accessories to your employees in line with your goals for promoting multimodal transportation and wellness. Biking to work is a fun and practical way to improve health, save time & money, and reduce the impact of fossil fuels on the environment. That's going and being human. 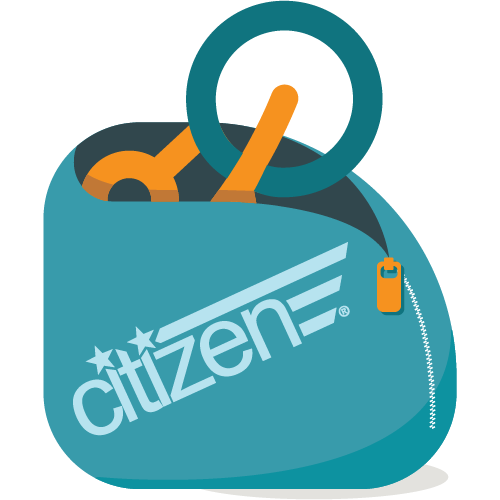 Citizen Bike develops specialized products and programs for organizations that want to promote and deliver the benefits of bicycle commuting. We have a growing list of partners we’ve worked with to develop successful programs customized to their corporate personality and environment. 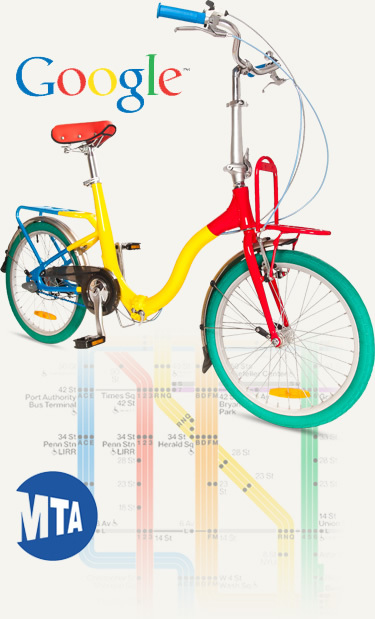 One of ongoing partnerships is with Google Inc., maintaining an employee incentive program that distributes specially-designed SEARCHER bicycles to Google employees worldwide. Google employees place their orders through a private, online ordering portal and bikes are delivered right to their office. Citizen Bike also has an ongoing relationship with the Metropolitan Transit Authority of New York, designing and distributing MTA-promoted folding bicycles to be used on the MTA transit network – and created the first official New York City subway bike. The bicycles are supported by an MTA advocacy and policy program to promote bicycle commuting combined with New York City transit. We can design a program that is in line with your goals and corporate culture, even developing a unique bicycle or bicycle accessories branded for your company. is a citizen bike program right for our company? If you can answer "yes" to one or more of the following questions, then promoting bicycle commuting at your business is right for your company. Does your company support innovative ideas that improve employee health, well being, and morale? Is automobile access to your work site congested? Are parking spaces limited at your company? Do you have employees living within three miles of public transportation? Is your company situated in a bike-friendly land-use environment? Are your employees interested in a physically fit, active lifestyle? Are there people in your company concerned about the environment? Do any of your employees already bicycle for transportation or recreation? Affordability & variety. Our models start under $200 and we offer a broad set of features for different rider needs and budgets. We can also customize the bikes – your company logo, your organization's colors or mission – or build a completely custom model just for you. Ordering. 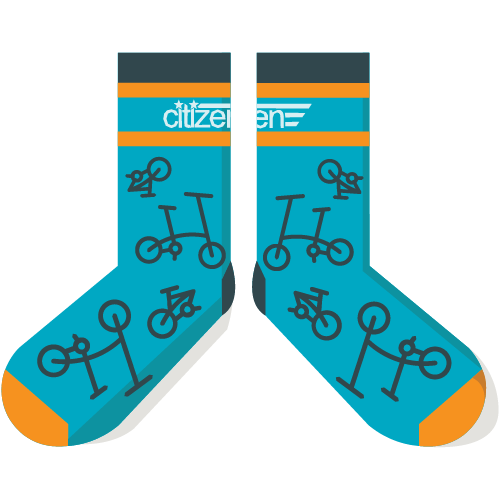 Employees can purchase their bicycles directly from www.citizenbike.com or from a custom web portal that is branded just for your company. We can assist in developing a specialty program tailored to your needs. Direct: Bicycles arrive approximately 99% assembled direct to the office or home – your employees unpack, unfold, set up & ride. Bulk: Directly to your company or staging area, fully assembled and set up for employee pick-up. Bulk distributions are a great opportunity to combine with a wellness or other special event. Guarantee. Total satisfaction is our priority. All of our bikes come with a 30-day satisfaction guarantee plus a 1-year warranty. Accessories. We can offer convenient accessories, including commuting essentials such as helmets, locks, lights, bags, pants clips and bicycle carrying bags, optionally branded for your company.